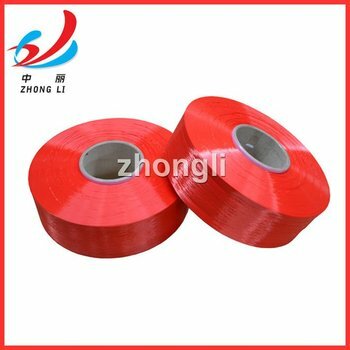 Hangzhou Zhongli Chemical Fiber Co., Ltd. was established in 2002. Our company's total assets has reached USD50,000,000, with registered capital of USD12,000,000. We can supply POY, DTY, FDY, Embroidery Thread, Carpet Yarn with raw white and any dope dyed colors. Our total capacity for polyester POY, DTY & FDY has reached 70,000 tons per year. We export to more than 65 different countries, such as Turkey, Egypt, Pakistan, Brazil, Russia, Morroco, etc. Our annual export volume is more than USD25,000,000 and annual gross sales amount has reaches USD85,000,000.